This Old El Paso™ recipe makes a delicious Spicy Potato and Chorizo Taco Bake that serves 10. 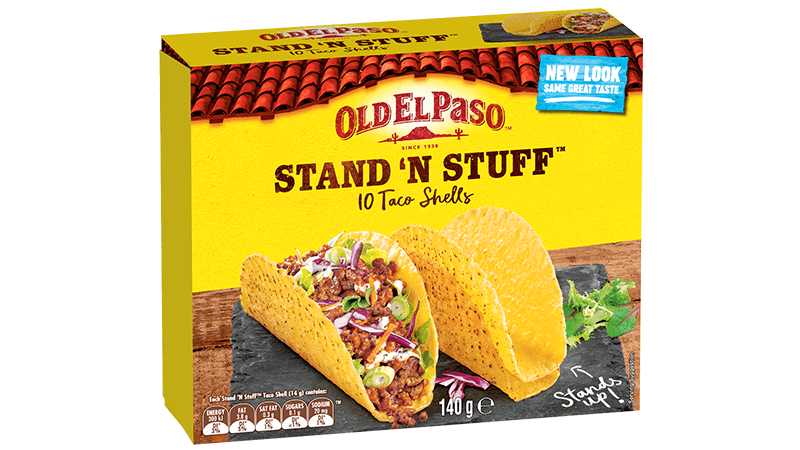 The meal calls for our Stand ‘n Stuff™ Taco Shells, Hot Jalapeños and Hot Taco Sauce – it’s definitely spicy! 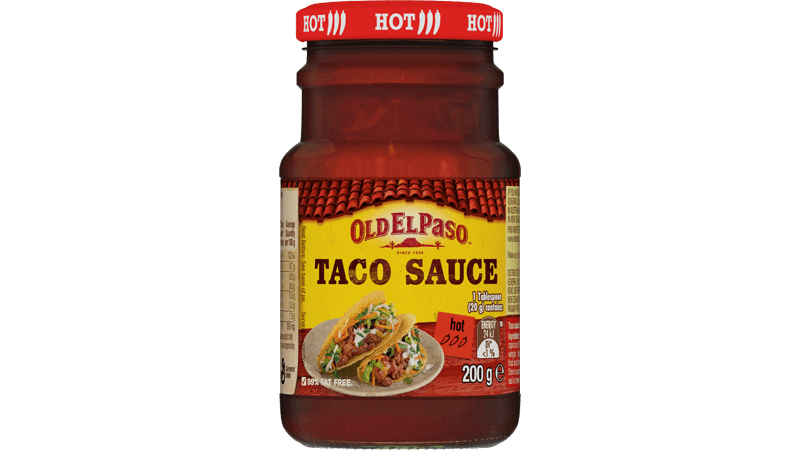 With plenty of fresh ingredients this meal is a twist on a Mexican favourite. Heat a little oil in a deep frying pan over a medium heat. Add chorizo and cook for 2-3 minutes or until golden brown. Remove from pan and set aside. Add the onion and capsicum, cook, stirring, for 5 minutes or until onion is softened. Add potato, garlic and chilli to pan, cook for 3 minutes or until potato is golden brown. Add chorizo, tomatoes and stock. Bring to the boil, then reduce heat to low and cook for a further 10 minutes or until the sauce has thickened slightly. Stir through coriander. 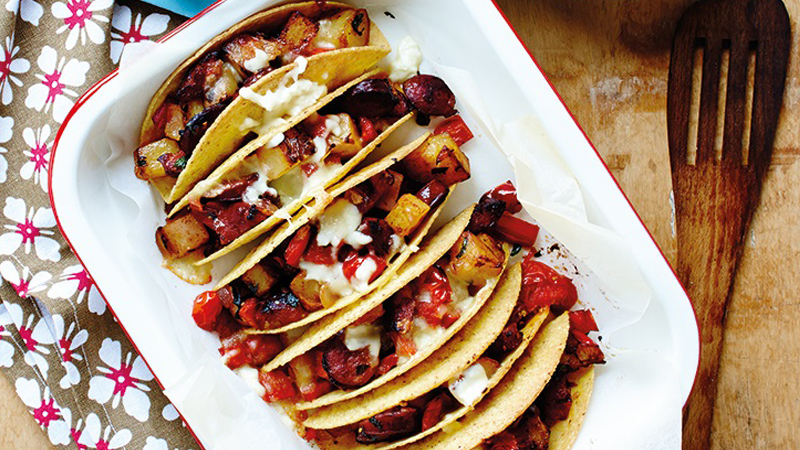 Place Tacos in a baking dish (no need to heat first as they are baked) and fill with chorizo and potato mixture, then sprinkle with bocconcini. Bake at 180◦C conventional (160◦C fan forced) 10 minutes or until cheese melts. Serve in baking dish topped with shredded lettuce, Hot Jalapeños and Hot Taco Sauce.